Vixen Optics, a leading Japanese optics manufacturer expanded their VIII series scope lineup with the introduction of a new 2.5-15×50 rifles scope. 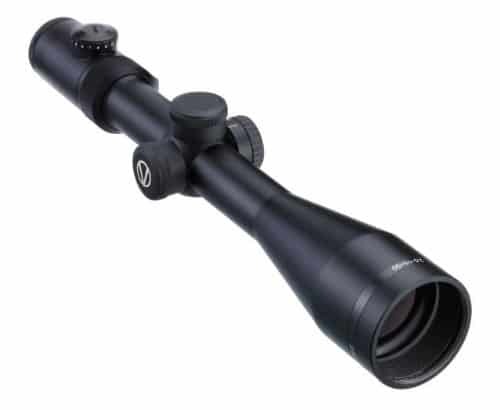 This new riflescope extends the existing VIII series offering which consisted of the 1-6×24 scope. The new scope is aimed as an all around use rifle scope. The magnification levels cover a wide range making it a great scope for the mid-range to long-range shooter. The range of magnification is actually one of the highest that is available on the market today. There are not many scopes that can be confidently used for medium to long distances. The Vixen 2.5-15×50 Series VIII scope is the first addition to Vixen’s 6x riflescopes since the original introduction of the 1-6×24 scope . Vixen is clearly rivaling the high-end European optics manufacturers but does so at a lower price point without sacrificing quality. The new rifle scope is available with two choices of reticles which are glass etched. You can choose from the illuminated center dot Mil-dot version or dot German #4 design (also with illuminated center). The scope features outstanding optical clarity and edge-to-edge sharpness. The scope offers precise illumination adjustments as well as brightness levels so you can use it even in the brightest daylight conditions. This, in combination with the multi-coated lenses that make the scope fog and waterproof, provides a hunter with the best possible optics under any light conditions. 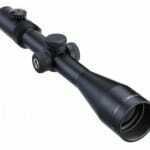 All Vixen riflescopes are machined from aircraft-grade aluminum alloy. They are built to withstand even the most extreme conditions. The tube is nitrogen filled and sealed which guarantees reliable fog and waterproof performance under any condition. The elevation and windage turrets are designed to be reset to zero quickly. The focal adjustment is easy thanks to the fast-focus eyepiece and the side focus parallax adjustment. All adjustments are easy to use even when you wear gloves. Visit www.VixenSportOptics.com for more information on Vixen rifle scopes. Check out our other riflescope news and reviews.